Blog > Tutorials > So You Want to Submit a Guest Post to Ad Age, Huh? Can you think of any site that cares about SEO that would leave nested HTML in their meta description long enough to get it indexed? I certainly can’t. Anyway, all that is beside the point. Ad Age is Alexa rank 3,110 in the USA and 11,664 globally as of this writing, meaning they’re a fairly potent and powerful website. 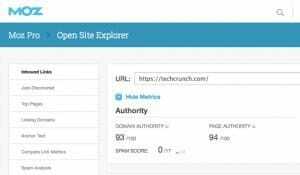 Getting your content published is certainly going to bolster your reputation, and a good link makes a great backlink. Ad Age is a shortened version of the full name of the site, Advertising Age. Ad Age is a global media publishing brand, with news and marketing data and media covering a wide range of industries and topics. It’s also a fairly old publication, started in Chicago in 1930. 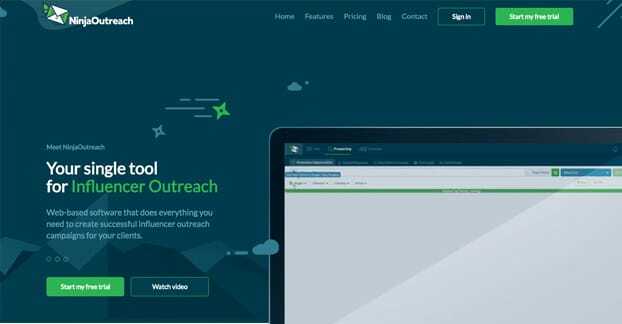 It has continued to grow since then, and is one of the top marketing blogs out there today. Today, the site is a mixture of different kinds of content. They have a wide range of topics, from marketing and advertising to data to editorials from their publishing partners. Of course, these topics are broad enough that practically anything can qualify. So long as you can tie a subject in to marketing or advertising, you can probably find a place on Ad Age. In fact, the flexibility of their topics is one of the best signs when it comes to guest posting; you can find the intersection between your brand and advertising, write a post in that niche, and it’s as likely to be accepted as not. This page is the category page for guest columnists, of which there have been many over the years. There are a few things you might notice about this page, but the first and foremost is that the most recent post on the page was published in July of 2017. That’s over a year and a half ago. If you dig a little deeper, you can see that some of the guest columnists are still publishing, as recently as mid-2018. 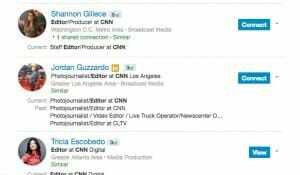 They aren’t labeled as guest columnists any more, though, so what’s the deal? 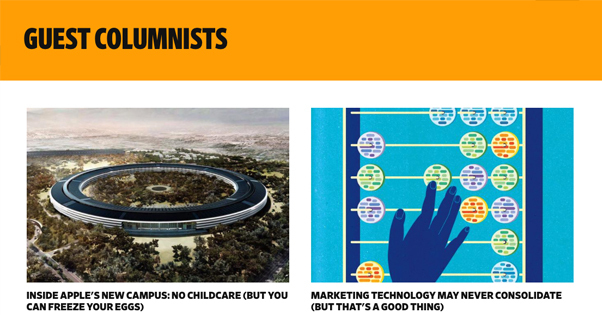 My suspicion is that the differentiation between guest columnist and regular columnist was inconsequential, so Ad Age simply stopped categorizing new posts in that section. This does not necessarily mean that Ad Age doesn’t accept guest posts, but it means they don’t necessarily take on explicit guest columnists anymore. If you check out some of the guest contributions, you’ll also notice that there are no real bylines beyond the author profile link, and that some author profiles don’t even have information. I assume this is more laziness from the contributor than an imposition from Ad Age, but there’s no way to be sure without asking the people directly involved. This page is an FAQ that includes the option to see PDFs of the most recent editorial calendars for Ad Age itself, which is unusual in that most publications either don’t have their calendars fill out very far in advance or use them explicitly for internal structure. Of course, the most recently available are from 2012, 2013, and 2014, so it’s of questionable utility. Another interesting tidbit is that very few blogs out there talk about posting on Ad Age. Many talk about using the Ad Age Power 150 as targets for guest posting, but that is no longer applicable. The Power 150 was a list of 150 marketing blogs considered the most powerful in the industry. That list was retired in 2014 and no longer exists. 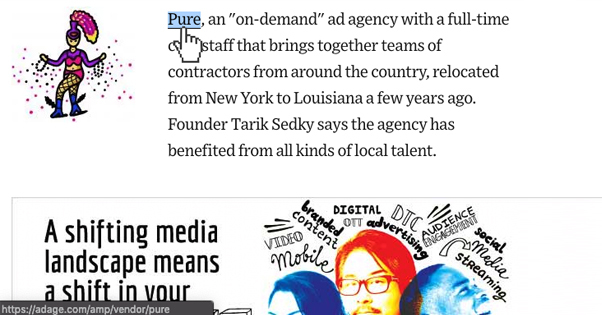 Few blogs even mention posting on Ad Age itself. This does mean that you may have less competition, though you will certainly have plenty, simply because Ad Age is a large site. 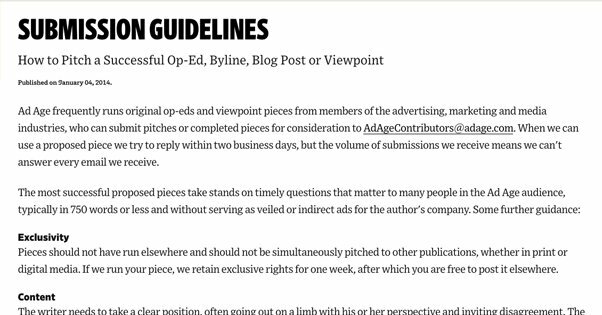 In one hopeful sign, I’ve been able to find guidelines for contributing to Ad Age. In fact, I’ve found more than one, and that might be a problem. None of them are updated in 2019, so it’s up to you to consider how to take the information they contain. This page is the primary instance, but was published in 2014 and has no update date. I’ll summarize their guidelines here. Ad Age tries “to reply within two business days” if and only if they intend to use a proposed piece. However, the volume of submissions means that they won’t answer every email, and they may not get back to you in the promised 48 hours. Still, I would assume that if you haven’t heard back in over a week, you aren’t getting accepted with that pitch. This is probably your most important line. It gives you several clues about what you should pitch. Any pitch should be about a time-relevant or time-sensitive issue, something actively being discussed in the ad and marketing community. It should run around 750-1000 words in length. It should also avoid being advertorial. Ad Age retains one week of exclusive rights to your pieces if they accept them. After that one week is passed, you are free to post your piece elsewhere. Keep in mind, though, that publishing a piece on Ad Age will probably disqualify it from being submitted to any other site except your own, since most will reject anything previously published. Your pitch must take a clear position. You aren’t reporting on bland facts or impartial data. You are instead drawing a conclusion and using that data to support it. Take a position and run with it, backing it up with data. Invite disagreement and refute that disagreement. Pieces should be opinions based on expertise and experience, should be supported with facts, and should be the basis of discussion. Your pitch style should be conversational. Specifically, Ad Age says your writing should be “conversational in style, accessible and comprehensible.” Picking a topic is important, but writing about it properly is even more important. You need to bring your own expertise and value to the piece. Submit facts that back up your claims, cite your sources, and make sure everything is solidly proof-read. Ad Age will do a final editing pass, but they expect polished pieces, not first drafts. Minor edits will be made with no feedback; major edits and rewrites will be given one readback for your feedback, but otherwise the final determination is Ad Age’s. What does Ad Age want you to submit? You can submit full pieces, in which case all of the above applies. You can also submit pitches for ideas you’re willing to write. Tell them, in conversational language and concise fashion, what you want to write about and why their audience should care. Canned pitches, pitches that look like templates, and basic no-effort pitches will be ignored. Your pitch absolutely needs to be tailored to Ad Age specifically. That’s nothing new; tailoring your pitches is rule number one. Ad Age would also like you to be familiar enough with their site that you can identify specifically what section of the site it should be published in. It’s one indication they use to identify whether you did your research or not. The Ad Age contact page is, at least, up to date. They have a number of different email addresses available for sending different sorts of contacts. There is also the Ad Age Collective, which is an industry think tank of intelligent members of the community. You can read more about it and apply to join it here. 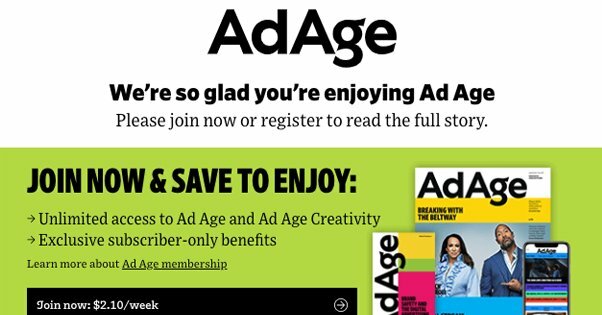 Ad Age is a magazine and as such, they have a membership. In fact, Ad Age is one of the few modern day blogs that maintains their print publication in addition to their digital publication. Ad Age used to have limits on how much content a free user can read, but as far as I can tell, those limits no longer exist. Their help center says that you can read seven articles per month, but over the course of researching this post, I clicked through at least two dozen posts and was not blocked. Either their block is easily blocked by default ad blockers, or they lifted the limitation and didn’t change their FAQ. Nonetheless, Ad Age does still have paid memberships. All Access is $109 per year, and it gets you their print and digital editions, access to everything on the site, access to their resource library, and invitations to their events. $279 per year gets you a newsletter access, curated case studies, and special offers in their careers section. Then there’s a huge jump to $1,200 per year, which gets you Datacenter access, personalized consulting services, invitations to their editor breakfasts, and VIP privileges at their events. One thing you’ll notice is that none of these guarantee you publication rights on their blog. I would not be surprised if the higher tier plans give you direct contact with editors who will be receptive to your pitches, but they are not a guarantee. It’s up to you if it’s worth the price of admission to give it a shot. 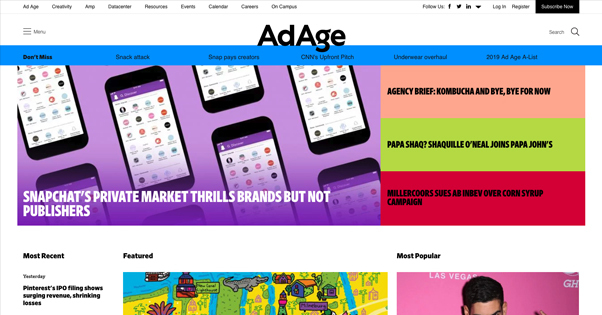 Additionally, Ad Age Amp, part of the Ad Age Collective, is a selection of profiles for companies, agencies, vendors, and individuals who are part of the Collective. 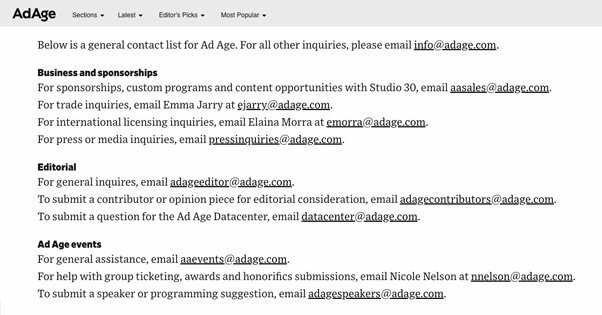 This can get you a profile that you can edit and add to, though it’s segregated from the rest of the Ad Age site, so it’s not publication on their main blog. Still, it can be valuable to some people, if you want to attempt to join the Collective.